The Kilbehenny guild of the ICA is very much alive and well. We are a group of 17 members and are very active. 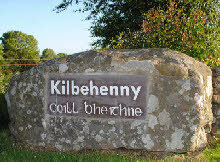 Kilbehenny Branch was affiliated to the Limerick Federation. I.C.A. nationally was instrumental in having Breast Check rolled out around the country. 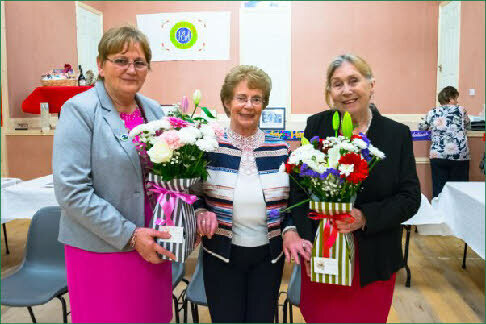 40th Anniversary of Kilbehenny ICA. Celebrations kicked off with Mass in St. Joseph's Church at 7p.m. celebrated by Fr. Kelly. 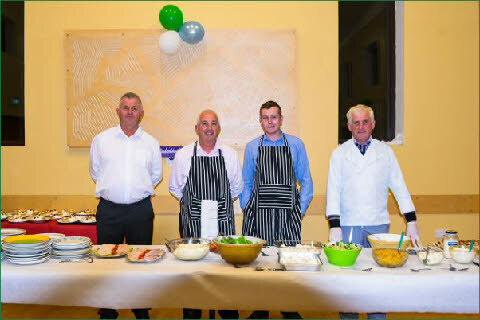 Afterwards everybody was treated to a beautiful meal in Kilbehenny Community Centre, lovingly prepared by members of the guild and beautifully served up by our four resident chefs : Pa, Kevin, Moss & John who looked very professional in their Chef’s uniforms. and Delores Devereaux, Regional President South and East who travelled from Wexford to be with us on this momentous occasion. Kilbehenny guild of the ICA was affiliated to Limerick Federation on the 6th October 1977. Since then many members have shared in the joys of being an ICA member. A minutes silence was observed for members who have gone to their eternal reward. 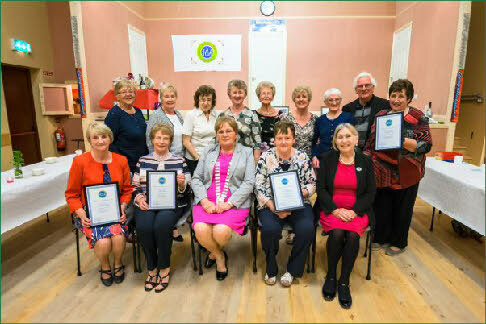 5 long serving members received Certificates i.e. 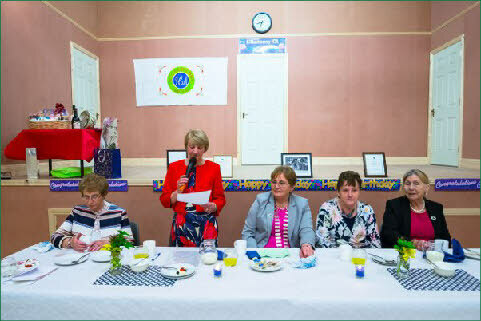 Nan Downey, Nellie Bailey, Kitty Fox, Hannah Luddy & Mary O'Brien in recognition of 40 years of unbroken service to the cause. 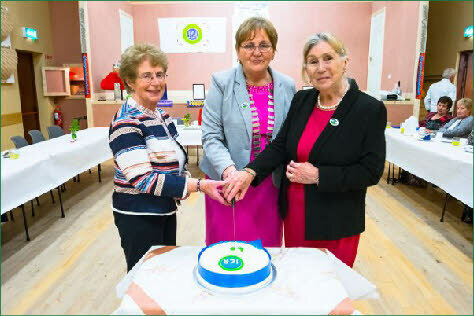 After the meal our 3 Presidents, Nan Downey, Mary Moloney and Delores Devereaux cut the cake which was baked and decorated especially for the occasion by a member of the guild and was iced in the traditional colours of the ICA. 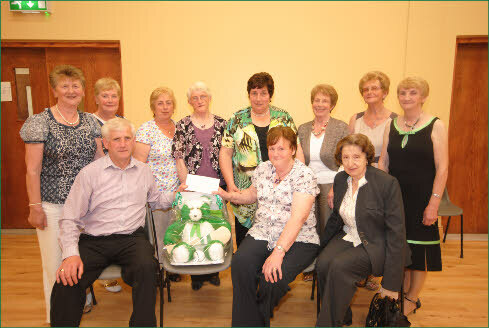 most of which were donated by members of the guild. To finish off the evening, we did some dancing, the music for which was supplied by the one and only - Mattie O'Brien.